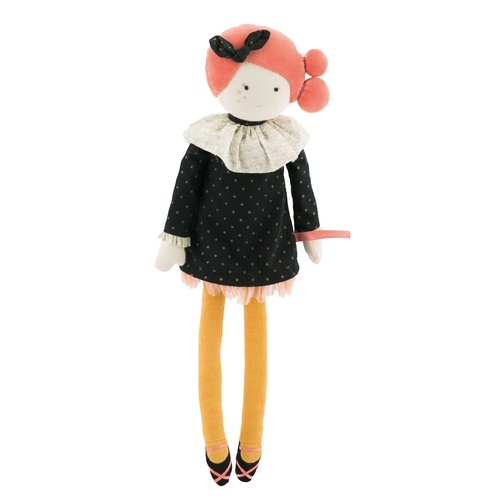 Olive is wearing a pretty, floral patterned cheesecloth dress over jersey leggings and knee high pink socks. 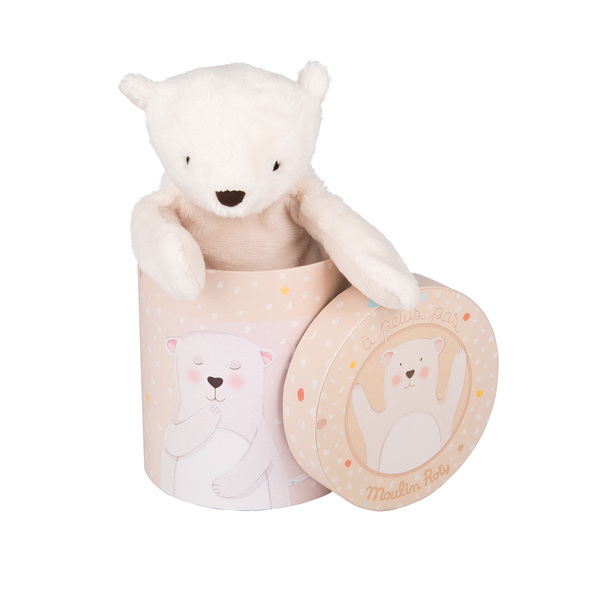 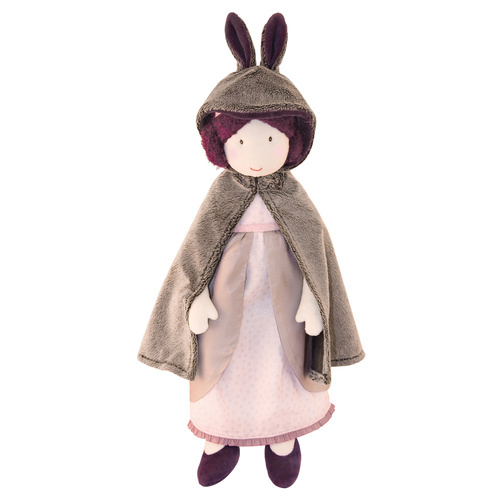 Her outfit is completed with a luxuriously soft faux fur collar – very stylish. 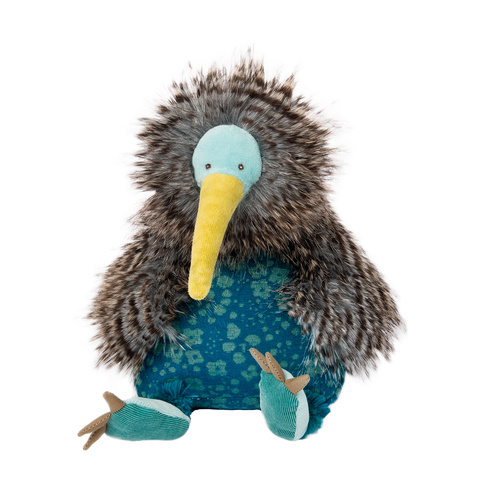 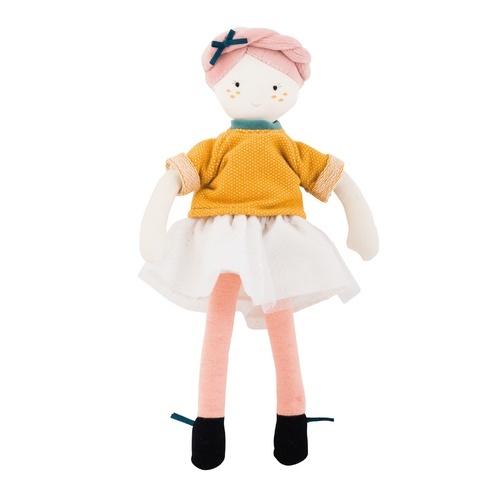 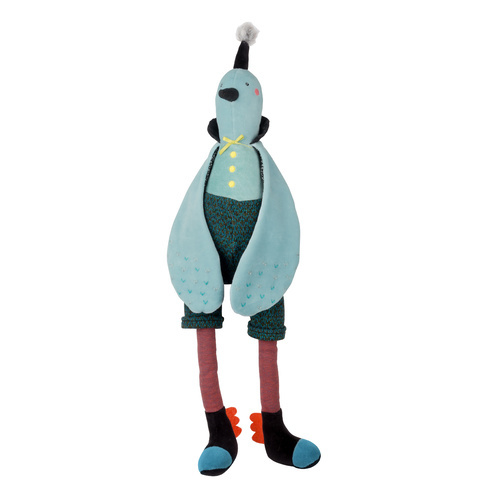 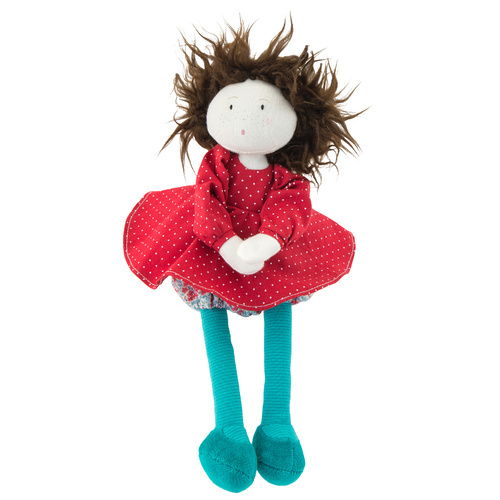 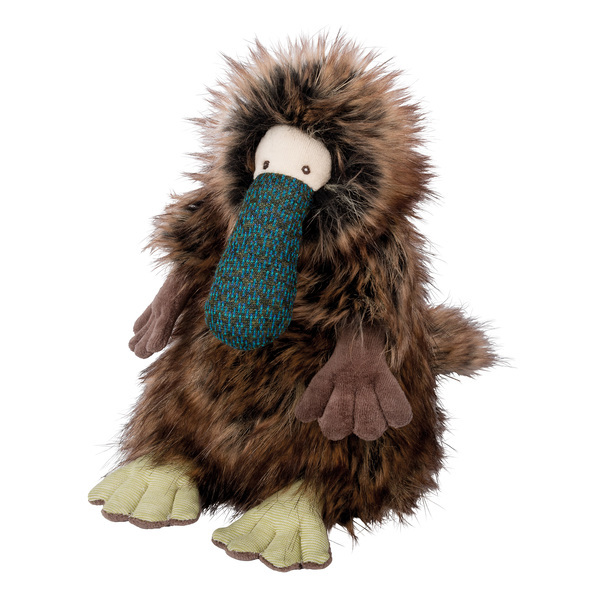 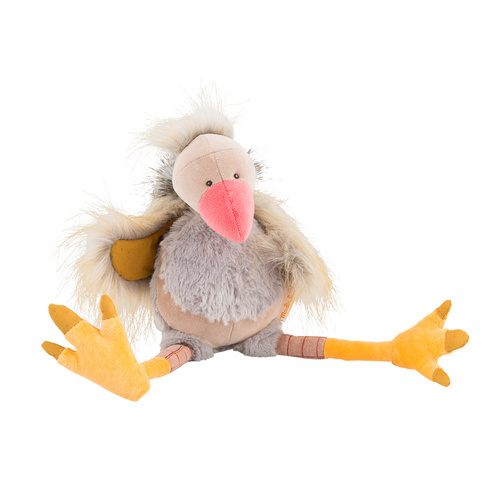 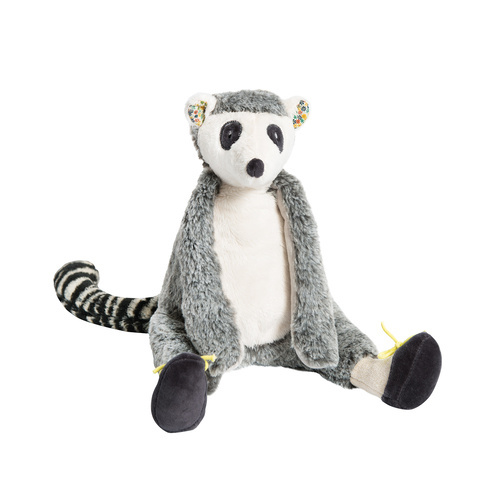 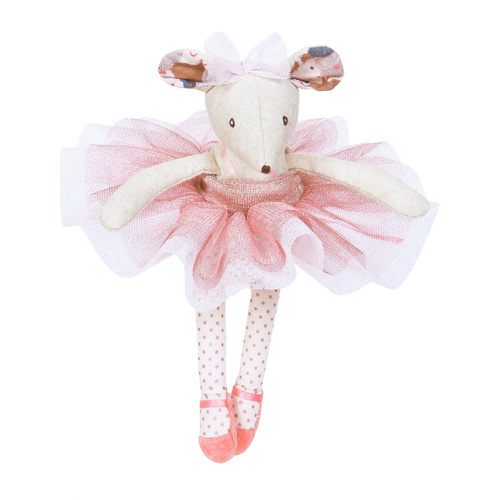 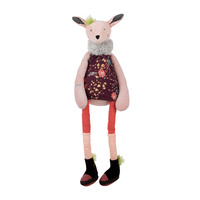 Olive’s upper body is made from soft velour and her facial features are embroidered.